1. Go to www.opus.emory.edu to obtain your Emory Net ID and password. 2. After you obtain your Emory Net ID and password, you should be able to login at www.opus.emory.edu. 3. On the Student Center screen, scroll down to the Admissions section. Choose the “Pay Admission Deposit” link. Once you have paid, this link will disappear. 4. Once you choose “Pay Admission Deposit,” you should have the option of paying via e-check, credit card, or wire transfer. Credit cards processing fees may apply. Tuition deposits are non-refundable and will be credited to your student account. Information effective as of October 16, 2018. As you prepare to join us at Emory Law, we have a checklist of actions and forms to complete. 1. Final Transcript The American Bar Association requires Emory Law to receive a final transcript indicating the date of your undergraduate degree conferral. If LSAC does not have this final transcript in your Credential Assembly Service (CAS) report, please have your final transcript sent to Emory Law’s Office of Admission, 1301 Clifton Road NE, Atlanta, GA 30322. 6. Log In to OPUS (Online Pathway to University Students), your portal to student accounts, the registrar, and many other services at Emory. Explore OPUS and get familiar with the resources you will use as an Emory Law student. Submit a help request if you cannot log in or access OPUS. Include your first and last name and your Emory Net ID. DO NOT INCLUDE YOUR PASSWORD. 7. Create an Emory Email Account » Your Emory Email address will be available later this summer. You will access your account using the same NetID and password that you use for OPUS access. Your email address is your NETID(at)emory.edu. If you attended Emory as an undergraduate student, your default Emory account is your Exchange account. Forward messages from Learnlink or EagleMail to your new Exchange account. 8. Upload Your Photo for Your EmoryCard (Student ID) » The EmoryCard is the official ID Card of Emory University. It permits access to facilities and events and can be used to purchase goods and services at the university and at a wide range of merchants throughout the community. The image you upload must be on a white or solid neutral background. More information regarding your EmoryCard can be found here » Photos must be uploaded and approved by January 1st. Cards will be available for pickup during Orientation. 9. Duo Authetication Many services at Emory require Duo authetication before you can log in from off-campus. Duo provides extra security by checking an app on your phone before allowing you to login to important Emory services, such as Email and Opus. Learn more about Duo here and install the software on your phone. If you have questions about Duo or configuing Duo, please contact the University help desk at (404)727-7777. 11. 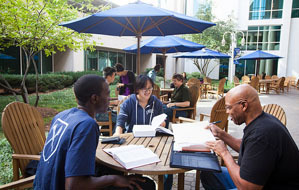 Student Accommodations Emory University School of Law provides all persons an equal opportunity to participate in and benefit from programs and services afforded to others. 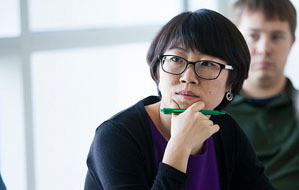 Sei Yoshioka-Cefalo is a Licensed Professional Counselor at the School of Law and is the primary liaison to Emory University Access, Disability Services, and Resources (ADSR). He can assist qualified students with obtaining a variety of services and ensures that all matters of equal access, reasonable accommodation, and compliance are properly addressed. If you have questions or concerns pertaining to accommodations that you may need while you are a student at the School of Law, please contact Sei directly by sending an e-mail to: sei.yoshioka@emory.edu. When you contact Sei, please provide your full name, Emory ID number, and the program you will be enrolled. If you are a transfer student, please indicate accordingly. Information effective as of October 25, 2018. Emory University does not provide on-campus graduate housing. Emory's Off-Campus Housing website can assist you in finding housing in the area. You may also want to network with peers via the Class of 2021 or Class of 2020 Facebook pages for roommate opportunities. Students with disabilities can contact Emory's Office of Disability Services for specific information on obtaining an Individualized Accommodation Plan.